By the end of January after the all of the holiday activities, a lot of us are ready for a getaway. 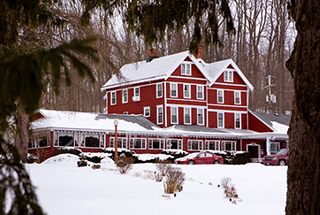 We don’t need to go far; just taking a long weekend to relax and regroup can make all the difference in our ‘winter state of mind.’ Consider a getaway right here in the Finger Lakes as there is plenty to do and lodging prices are very reasonable this time of year, plus with fewer visitors, you’ll get plenty of attention and TLC most everywhere you go. 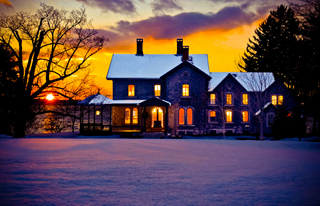 Here are a few getaways that are sure to make you look forward to winter in the Finger Lakes! The Holiday Inn in Auburn offers a fun package for you and your girlfriends to getaway with their ‘Girlfriends: Sip, Shop & Pamper Finger Lakes Special’ that includes overnight accommodations, breakfast, appetizers, Finger Lakes wine, chocolates, and coupons for the Waterloo Premium Outlets and Elements Spa & Salon. This package is just what the doctor ordered to chase any winter blues away. Call the hotel for rates. Note that all packages are based on availability and may be subject to additional tax and gratuity. Check out their web sites and then call the property directly to confirm details and prices.